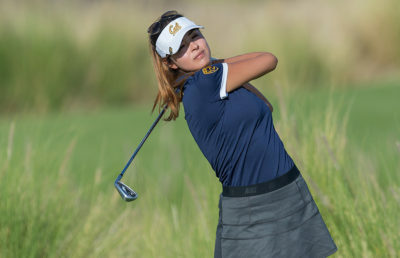 The Cal women’s golf team looks to ride their wave of success into the Pac 12 Preview this week in Hawaii. The Bears have had an unpredictable season where their first two tournaments seemed to expose a team unable to perform consistently and especially one that couldn’t have a strong start. 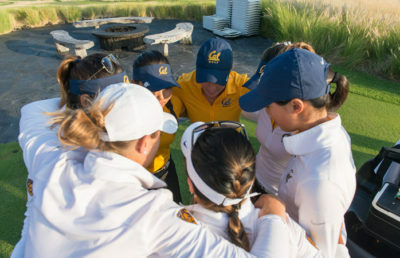 Yet last week, the Bears showcased a completely different team at the Stanford Intercollegiate, where they finished fourth overall. Whichever team shows up to Hawaii this week will likely determine whether or not the Bears end their fall campaign with a top finish. Cal will be competing against eleven other teams five of which are ranked in the top 15 in the country. Fortunately for the Bears, they will be facing many of the same teams that they saw last week, including Stanford, UCLA, Washington and Oregon. While top-ranked UCLA and Stanford finished higher on the leaderboards than the Bears by a hefty margin, Cal ended the tournament ahead of No. 21 Washington and Oregon. The fact that Cal faced and beat fellow Pac-12 teams could give them an advantage throughout the tournament. On top of the stacked playing field, the Bears also face the shortest break in between tournaments that they have had all year. While the Bears had at least two weeks of preparation and rest between their second and third tournaments of the fall, they’ll only have five whole days before their final action of the season. Although this turnaround and time change could be rough for the team, they will be playing on familiar territory in the Nanea Golf Club in Kailua-Kona, where this tournament has been played at for the past four years. One key element that helped the Bears come out on top last week, one that they will need to bring to this tournament, is consistency. Last week, the team shot 295, 289 and 296 in their three round, and this level of consistency, which the team had been lacking heading into the tournament, pushed the Bears to the top of the leaderboard. If the team is unable to stay consistent from round to round, it is going to be a challenge for them to overcome many of their top-ranked opponents. On an individual level, sophomore Jiyoon Jang, who has been the Bears’ breakout star this season, will be looking to cap off her incredible fall with another top finish. Last week, Jang finished T-8 overall, her highest finish of the year, and is now ranked as the 67th individual player in the country. If Jang is able to play as she did last week, she will serve as a huge weapon for the Bears throughout the two-day tournament. With the unpredictability of the Bears all season it is hard to say if they will hold up against the stark competition of the Pac 12. If Cal is able to stay calm and consistent, they could upset many unsuspecting teams and finish the preseason with confidence as they look ahead to February.